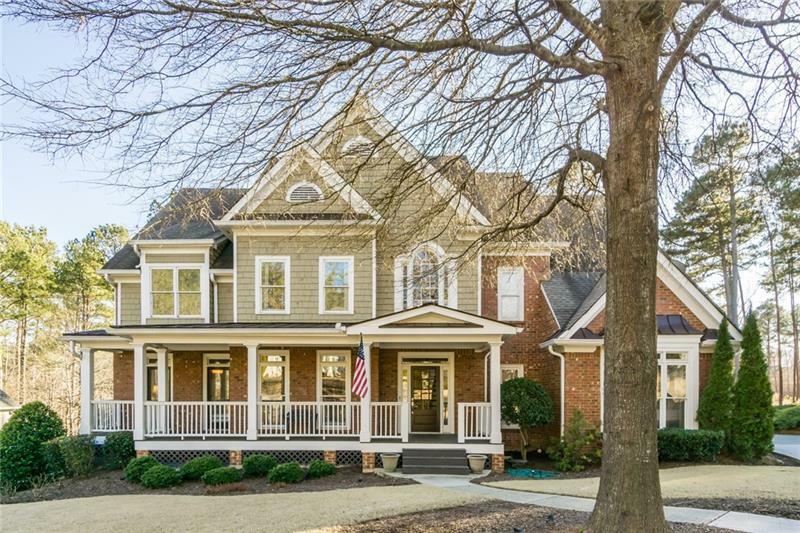 Elegant home on Bridgemill golf course waiting for you! Hardwoods on main floor, with views of the golf course from the 2 story family room. Separate living/dining room, sunroom, eat-in kitchen, and full bed & bath on main. Master suite with separate sitting room and two closets. Large secondary bedrooms with updated bathrooms and custom built-ins throughout the house. Finished basement with 2 bedrooms, full bath, and custom theater room. 3 car garage with 1 car detached for 4 car storage. Excellent Bridgemill amenities with country club, pools and top rated schools! A representative from Metro Brokers has received your request to visit 1150 Bridgemill Avenue on at .